In the early 1990s, Lexus looked at its German rivals and thought that a compact executive sedan should be added to its range. In the calendar year 1998, the first generation of the Lexus IS stepped into the limelight. 17 years later, the Japanese manufacturer is celebrating one million IS sales with great pomp and circumstance. Regardless of its side-splitting exterior styling and the annoying Remote Touch interface touchpad for the multimedia system, the 2017 Lexus IS an attractive alternative to the German norm. But, the IS still isn’t as popular as the A4, 3 Series, and C-Class. Let’s get down to crunching some numbers. One million sales on a global level for the IS over the span of 17 years is not much. By comparison, the Audi A4 moved more than a million examples from calendar year 2009 through the end of 2015 only in Europe. The same can be said about the Mercedes-Benz C-Class. As for the BMW 3 Series, it sold more than a million units from calendar year 2010 through the end of 2015 in the EU. At the present moment, the IS is sold in more than 70 countries across this big blue planet we call Earth. And according to Lexus, more than 6,000 units are sold each and every month. Provided that you’re not a car salesman, popularity isn’t all there is to a genuinely good car. Lexus gives a good explanation in this regard: “It’s a big achievement for a car that was the first Lexus to be designed primarily for the European market, a region where its popularity remains strong today. 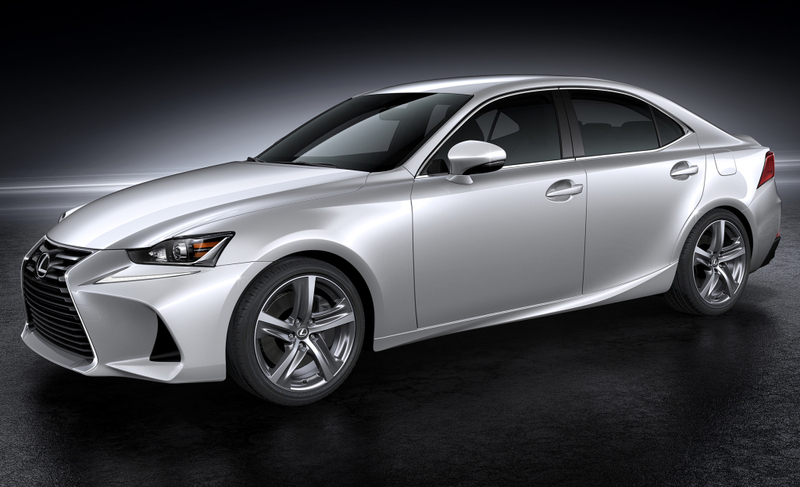 In fact, one in five Lexus IS sold worldwide is sold in Europe.” Additional to that, the IS is a car of many firsts for the Japanese equivalent to Mercedes-Benz. First and foremost, the Lexus IS has always been a sportier take on the compact executive sedan norm, facelifted third-gen IS included. Secondly, it was the first Lexus to be adorned with F performance badges. Thus, you could even say that the IS F of the 2000s has paved the way for the V10-powered LFA supercar.